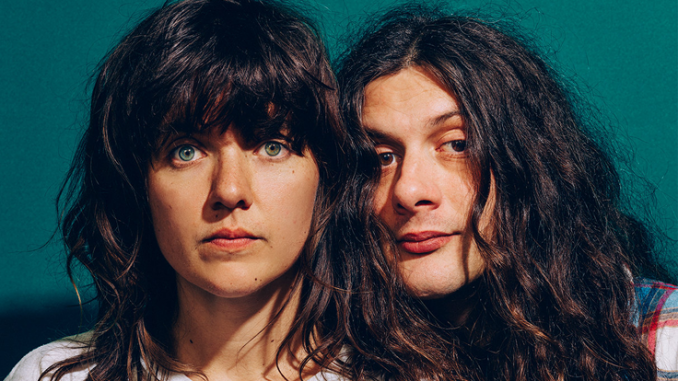 By now you would have heard that Courtney Barnett and Kurt Vile, two of the most accomplished songwriters of their generation, are releasing a very special collaborative album, “Lotta Sea Lice” October 13th – at once a glorious peek behind the studio doors of two acclaimed artists and an unabashed celebration of their unique, longstanding friendship. After the runaway success of opening single “Over Everything”, the video for their magical new single “Continental Breakfast” gently pushes the door open just a little bit further. Using intimate home footage shot over four days of Kurt and Courtney in their respective family environments surrounded by friends and relatives, “Continental Breakfast” goes beyond being a mere music video and becomes a mini-documentary of sorts, capturing candid, honest moments that show the loving and playful nature of both musicians. ‘Continental Breakfast’ was made while spending time with Courtney and Kurt in Melbourne and Philadelphia, it’s an intimate home movie into their lives and the time spent with family and friends between recording /touring. Shot on 16mm, the mini-documentary captures honest moments that show the loving and playful nature of both Courtney and Kurt. It was such a treat to experience life with Courtney and Kurt in their natural habitats. It really left me feeling like part of the family and hopefully, fans can feel that too. It’s just another delightful layer to what is already promising to be one of the most compelling albums of the year.